Q: What’s reversible, preppy, utilitarian, and totally 1980s cute? 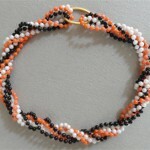 They were totally perfect for girls and young ladies in the 80s. Not exactly go-to-work “professional” in style, but very nicely tailored. 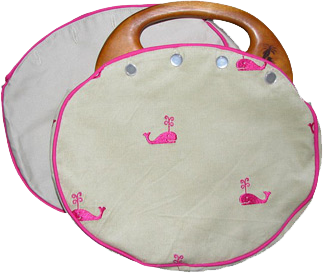 Each came with a fabric cover that buttoned on to wooden handles. You could reverse that canvas or corduroy cover easily, and also switch it up with entirely different covers. Navy, pink, green, red, plaid: the preppy colors were big for the cover fabrics. 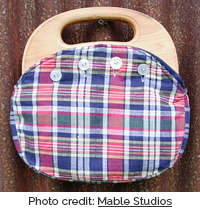 Picture this plaid Bermuda bag (left) with a white Izod, khaki pencil skirt, and some red espadrilles, and you get the idea. Since we could change up the covers so easily, we needed at least a few to coordinate our outfits properly. 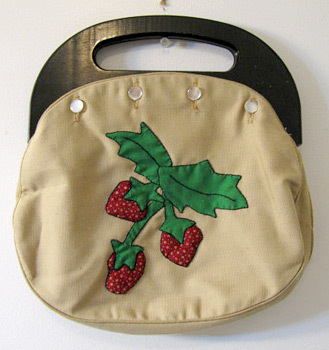 We snapped up bag covers with embroidered images like whales, turtles, strawberries, flowers, and ducks, and we appreciated a crisply contrasting piping around the edges. Curly-script personal monograms were big, too. You might have known them as Pappagallo bags. 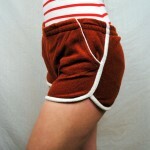 The company was making them back in the 60’s, but they were a big ol’ fad for elementary school girls in the mid 80’s. I remember those chunky, smooth wooden handles best, but makers used differently shaped wood and plastic handles, as well. I remember how nice it felt to close my Bermuda bag and feel the shapes line up in the handle. There were a couple of major downsides, which probably explained why my mom wasn’t carrying one. You couldn’t put it over your shoulder, but you couldn’t put your hand through the opening, either. 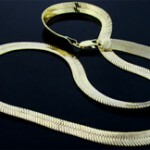 It was a little chunky to put under your arm like a clutch, so you pretty much just had to hold it in your hand. Also, it didn’t snap shut and didn’t have compartments inside. This didn’t matter to ten-year old Me, but does make a Bermuda bag a little impractical for an every day Mom purse nowadays. However, it’s totally perfect for a special date or ladies’ lunch. 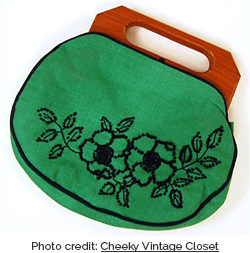 Check out this assortment of sweet vintage bag covers – you could match to your outfit EVERY DAY. My own bag was navy and green. Navy on one side with green piping, and green with navy whales on the other, sort of like this cute pink and gray one (pictured left). 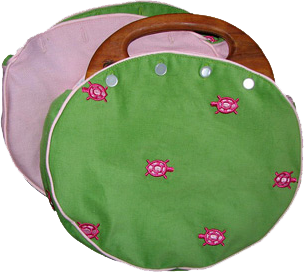 And I covet this pink and green one with turtles (pictured right), also made by All About You Design. She makes covers based on a vintage pattern and lets you design your own bag. A quick search shows that I’m not the only one thinking Bermuda. Julie Ree blogged about her mother’s vintage purse and here’s an Elle article by Kristen Wiig about the same topic. 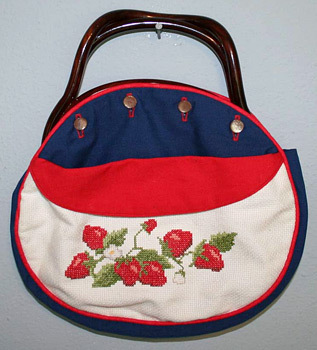 Miss Janice has a fabulous blog post with pictures of her extensive collection, including a lovely shot of her sporting her own bag in the 80’s. Bermuda bags were part of the whole preppy look: innocent, tailored, and sweetened with nostalgia. 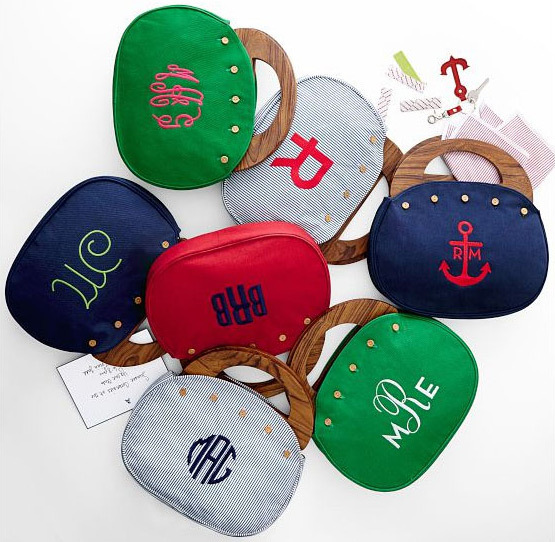 Toss in some Bonne Bell Dr. Pepper Lip Smackers and your change purse, clip on your ribbon barrettes and slide into your argyle socks and penny loafers, and you’re ready to go. I was totally psyched today when perusing the new Mark and Graham catalog that they have added Bermuda bags to their line-up. This is the first new version I’ve seen of these in a while! 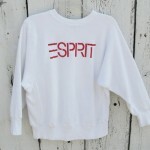 At $79, you can go retro (as well as personalize it) without going vintage.